Many women may feel that their breasts are too small, lack enough volume or youthful contour, lack upper pole fullness, or are too droopy. Breast augmentation enhances your breasts by adding volume and fullness, giving them a more youthful and sensual shape and appearance that improves your breasts’ proportion to your body frame. Considered one of the best plastic surgeons in Saratoga Springs and in the Albany/Capital District region by locals and a “Top Doctor” by Castle Connolly, Dr. Steven Yarinsky offers breast implants in a variety of sizes, shapes, and types that can help you attain fuller, more shapely breasts with results that look natural and beautiful. He has been helping women enhance their figures with breast augmentation since 1989! In addition to offering implants from both Allergan® and Mentor® brands, Dr. Yarinsky has the most experience of any plastic surgeon in the Albany and Upstate New York area since 2012 doing breast augmentations with the Sientra® “Gummy Bear” gel implants. He has used Sientra® implants for over five years—more than any other plastic surgeon in our geographic region. Sientra® implants have been shown in clinical studies to have the lowest rates of breakage and of capsular contracture (hard breast formation) of all available gel-filled “gummy bear” implant brands. Dr. Yarinsky offers the latest OPUS™ breast implants by Sientra®, which are designed to look and feel extremely natural without sacrificing shape retention. These implants are also protected under Sientra®’s Platinum20™ Product Replacement and Limited Warranty Program. This extensive coverage offers benefits such as free lifetime replacement if an implant ruptures and 20-year replacement for capsular contracture complications, late forming seroma, and double capsule. This is the best warranty in the business compared with only 10 years for the other implant companies. Dr. Yarinsky is also the first in the Upstate New York, Capital District region to provide the new IDEAL IMPLANT® (“structured” or multiple layered saline) designed for those women who don’t want silicone gel and would prefer the top-of-the-line saline or salt water-filled implant. This wide range of implant options, along with his advanced expertise in performing breast augmentation, allows his patients to achieve beautiful results that align with their aesthetic goals. Please review the following information on breast enlargement with implants, and contact Saratoga Springs Plastic Surgery, PC to schedule a consultation with Dr. Yarinsky. You desire larger breasts to create a more balanced figure or to fill out your clothing and bathing suits. You have one breast that is noticeably smaller than the other. You have mild breast drooping and desire an uplift and enlargement. Get larger and more shapely breasts. Achieve a more balanced figure. Boost your self-esteem and develop a more positive self-image. Read Dr. Yarinsky’s responses to 5 common myths about Breast Augmentation. For your safety, convenience, and comfort, the procedure is done in Dr. Yarinsky’s Joint Commission Accredited office facility as an outpatient procedure usually using general anesthesia or IV sedation. You sleep, feel nothing and are amnesic for the surgery. A small incision is made around the areola (the pigmented part of the breast) or in the fold beneath the breast. Dr. Yarinsky will review the best way to place the implant you choose at your initial consultation. Dr. Yarinsky uses your choice of saline (salt water) filled implants, silicone gel filled, or “Gummy Bear” type silicone gel filled implants. The implant is inserted under the breast tissue and usually is placed partially beneath the chest wall (pectoralis) muscle to camouflage the surface and provide a more naturally appearing upper breast contour with the best possible result to suit your particular desires and individual needs. A round implant can provide you with more upper breast fullness or “cleavage” when compared to teardrop-shaped gummy bear implants. If you desire more fullness and projection, Dr. Yarinsky can set the implant in a higher placement on the chest. There is minimal concern for rotation with round breast implants, as they are the same shape all the way around and any rotation after placement would not change their appearance. A teardrop-shaped implant mimics the appearance of a natural breast and has less fullness in the cleavage area than other implant choices. All shaped implants have a textured surface to help prevent movement within the pocket where they are placed. There is more projection towards the bottom and more tapering for flattening at the top of a teardrop-shaped gummy bear implant. Teardrop implants are a more common choice for women who have undergone a mastectomy and are receiving a breast reconstruction. If a shaped implant rotates it can create an unusual appearance. So they need to be carefully positioned in the pocket. This is why having your procedure done by a board-certified plastic surgeon and Aesthetic Society member like Dr. Yarinsky is so important. Due to the lack of upper implant fullness, when compared to round shape, a teardrop implant will not provide an abundance of cleavage. Smooth breast implants are considered the softest out of the choices we offer at Saratoga Springs Plastic Surgery. This implant can create a more mobile breast appearance as it is able to move within the breast implant pocket. In an effort to prevent hard breast or thick capsular formation, the pocket for placement of smooth implants typically has to be made much larger than the implant. Complications such as rippling and scar tissue formation around the implant (capsular contracture) can occur. Surgeons at many of the major breast augmentation centers in the world and around the United States feel that using smooth implants increases the risk and rate of hard breast or capsular contracture formation. Textured breast implants are less likely to move or become repositioned. The formation of scar tissue around these implants helps them adhere to the surrounding breast tissue like “VELCRO®”. This “texturing” can reduce the risk of thick capsule formation and tight capsular contracture, which can cause hard breasts (more commonly seen when using smooth implants). Outside of the United States and in the most highly recognized American breast augmentation centers, textured breast implants are the most common selection amongst board certified plastic surgeons. Your breasts may feel more natural to touch with use of textured implants when compared to the feel of smooth implants. What Breast Implant Types Are Available? Each breast implant type can provide beautiful results for the right candidates. Implants are available from four companies: Allergan (Natrelle® brand saline, soft and firmer silicone gel and shaped “style 410” gel), Mentor® (saline, more fluid and thicker/firmer varieties of silicone gel), IDEAL IMPLANT® (“structured” or multiple layered saline), and Sientra® (OPUS™ form-stable “gummy bear” round and shaped silicone gel implants). Saline implants have silicone shells filled with a salt water (saline) solution directly from a sterile I.V. bag. They are filled after they are inserted into the breast pocket, which allows Dr. Yarinsky to use a smaller incision, resulting in less visible scarring. Dr. Yarinsky usually places this implant through an incision at the edge of the areola or may place it through an incision located in the fold beneath the breast per patient preference. Should a rupture occur to the implant, the salt water can be safely and easily absorbed by the body until it is removed and replaced. This implant type is FDA-approved for patients 18 years and older, but may be used in younger women as well to balance asymmetry or to correct congenital breast shape or size problems. Silicone gel filled implants have solid silicone shells and are filled with a softer silicone gel material. This type of implant tends to provide a very natural-looking appearance and have a more natural breast feel when compared to salt water filled implants. There is a lower risk of rippling compared with those filled with salt water since the silicone fill material is a thicker consistency. As a result, silicone gel implants are often preferred for those women who are thinner, since they have less of their own natural breast tissue available to camouflage or hide the implant. Silicone implants are FDA-approved for women over age 21 and may also be used for younger women in certain circumstances. Speak with Dr. Yarinsky to determine whether silicone gel filled implants are the best choice for you. “Gummy Bear” implants are also known as “form stable” implants since they are firmer and maintain their shape better. The silicone within these implants is a thicker consistency, not as flowing or liquid as in the original silicone gel filled implants. Should the shell of the implant break or be compromised, the “Gummy Bear” implant maintains its shape and does not leak gel into the body. The broken implant has the consistency of “JELL-O®”. Dr. Yarinsky has had more years of experience using Sientra® implants than any other plastic surgeon located in the Albany/Capital District region. More experience with a procedure typically leads to more consistent and better breast augmentation results. Dr. Yarinsky is proud to offer Sientra® implants and has found them to provide his patients with exceptional results since he started using them in 2012. Dr. Yarinsky offers the Sientra® OPUS™ breast implants, which are composed of High-Strength Cohesive Silicone Gel. The OPUS™ line of implants are available in textured and smooth surface options, round or shaped, and multiple projection levels (including high, moderate plus, moderate, and low). These state-of-the-art gummy bear implants are exclusively available to board-certified plastic surgeons, ensuring only the most skilled surgeons can utilize them. Sientra® implants are FDA-approved for women over age 21 and may also be used for younger women in certain circumstances. The OPUS™ shaped breast implants are the first shaped implants to receive FDA approval. Speak with Dr. Yarinsky to determine whether Sientra® implants are the best choice for you. Sientra® OPUS™ implants are covered by the Platinum20™ warranty program. This comprehensive protection offers coverage benefits including free lifetime implant replacement if they ever rupture and 20-year replacement if complications of capsular contracture occur. To learn more about Sientra® American-made implants please view Dr. Yarinsky’s YouTube video below. The IDEAL IMPLANT® is a new type of FDA-approved, American-made, salt water or saline filled implant with an innovative “structured” design that can prevent rippling and create a softer feel than traditional saline breast implants. The saline-filled IDEAL IMPLANT® may provide a look and feel that is similar to silicone gel-filled implants for those women who prefer not to have gel. The design of the IDEAL IMPLANT® is comprised of solid silicone layered shells with two saline-filled compartments. IDEAL implants are only available with smooth shell walls and in round shapes, so a larger pocket is required than when placing a textured breast implant. No MRIs are required to ensure the IDEAL IMPLANT® has not leaked. The IDEAL IMPLANT® can be placed through a smaller incision than pre-filled silicone gel implants. The IDEAL IMPLANT® may have a lower deflation and rupture rate than other implants, but they have not been available long enough for accurate comparison. The IDEAL IMPLANT® is currently more expensive than most other implant options. This increased cost is passed along to the consumer with increased cost of their breast augmentation. We provide you with a support bra to wear, gauze dressing and a VELCRO® strap positioned on your upper chest which helps hold your breast implants in the correct position. You will wear the bra and strap continuously except when showering for several weeks until swelling and bruising have disappeared. You should avoid tub bathing, swimming, and hot tub use—submerging your breasts in water—for six to eight weeks. Any discomfort is well-controlled with oral medication. Sutures are usually removed within two weeks (up to three weeks if you have a breast lift done on the same day). Light activities can be resumed as tolerated. Aerobic activities can be started in about three to four weeks. Dr. Yarinsky will help you determine whether saline, silicone gel, “structured” saline, or Sientra® OPUS™ “Gummy Bear” implants are best for your needs and desired appearance and outcome. Since there are many options to choose from, it is best to outline your cosmetic goals and expectations during your consultation with Dr. Yarinsky. He will also take into consideration the amount and firmness of your natural breast tissue, your chest measurements, skin quality, and pre-operative cup size to help make an informed implant suggestion suited to meet your unique needs and desires. When it comes to selecting the ideal breast implant there is no “one size fits all”. Therefore, scheduling a consultation with an expert breast surgeon like Dr. Yarinsky is incredibly important. 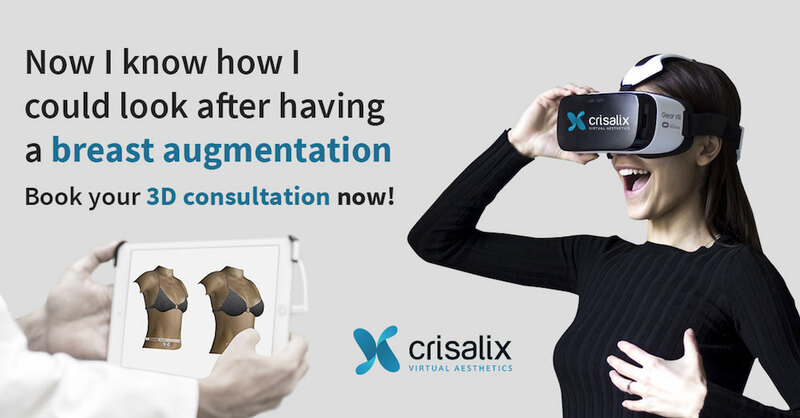 New state-of-the-art Crisalix® 3-D and 4-D computer imaging may be used so that you can preview how great you might look with the implant type and size you choose. The average cost of breast augmentation is $6,900 to $9,400, which includes the surgeon’s fee as well as the anesthesia, operating room facilities, breast implants, and other related fees. Since each patient has unique needs and aesthetic goals, Dr. Yarinsky customizes each breast augmentation to help them achieve their best possible outcome. As a result, the total cost of the procedure will depend upon a number of factors, such as the physician’s expertise, implant type, incision location, geographic location of the practice, and potential complementary procedures (such as a partial or full breast lift) performed during the same surgery. Dr. Yarinsky is well known and respected as an expert in breast enhancement by doctors and patients alike. To provide you with an estimate of your breast augmentation cost, Dr. Yarinsky will need to perform a physical examination and evaluation of your needs during your consultation. Once he has determined the most beneficial treatment to be included as part of your personalized plan, he will provide you with detailed and complete fees for your procedure done at his own Joint Commission-accredited surgery center for your convenience, comfort and privacy over the hospital setting. This quote will include all fees associated with your procedure, including the anesthesia, surgical facility, implants, post-operative garments, surgeon’s fee, and touch-up surgery, if needed. While health insurance does not cover cosmetic breast augmentation, some providers may help cover certain pre-operative work that may be needed, such as mammograms, blood tests, prescriptions, and medical clearance from your primary doctor. For further financial assistance, Dr. Yarinsky’s his staff will be happy to review cosmetic and plastic surgery financing options, should you be interested. Do I Need a Breast Augmentation and Lift? Many breast augmentation patients can achieve enhanced results by including a breast lift as part of their procedure. This is most appropriate for women with breasts that are droopy or saggy in addition to being smaller than desired. Combining a breast augmentation with lift surgery is especially beneficial for those who have lost breast volume after pregnancy or after weight loss. By adding implants to restore this volume while lifting the breast tissue, patients can achieve a more youthful and shapely breast appearance. In addition to combining breast augmentation with lift surgery, many women choose to add procedures like liposuction of other areas or a tummy tuck as part of an overarching Mommy Makeover to enhance their figure. These procedures can be done at the same time as your breast enlargement for a single recovery, allowing you to regain your enhanced and more youthful pre-pregnancy figure. This procedure is most often done at our Joint Commission accredited office facility for your safety, convenience, comfort, and privacy, as well as to enhance your experience with continuity of care.